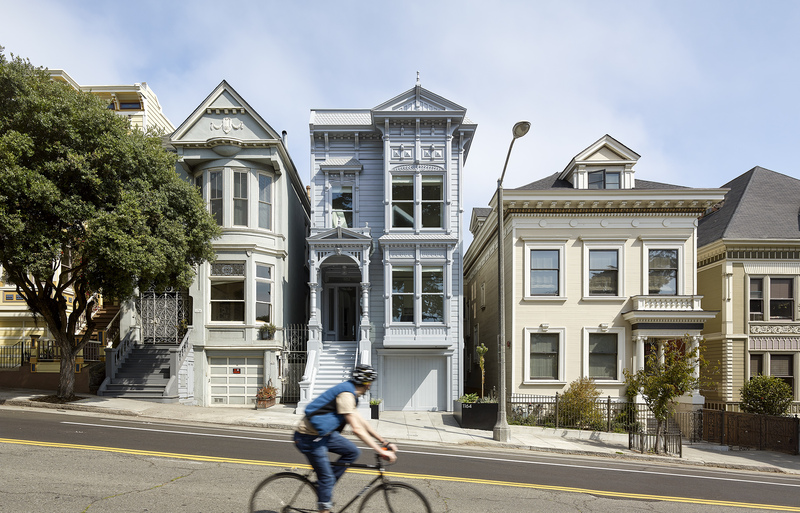 The historic landmark Fulton Street residence faces Alamo Square Park with a restored, original 1889 facade. 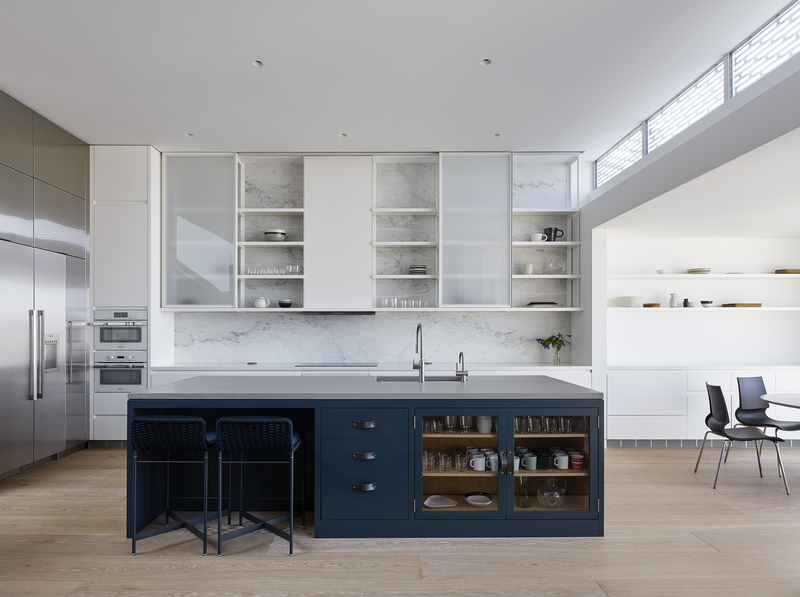 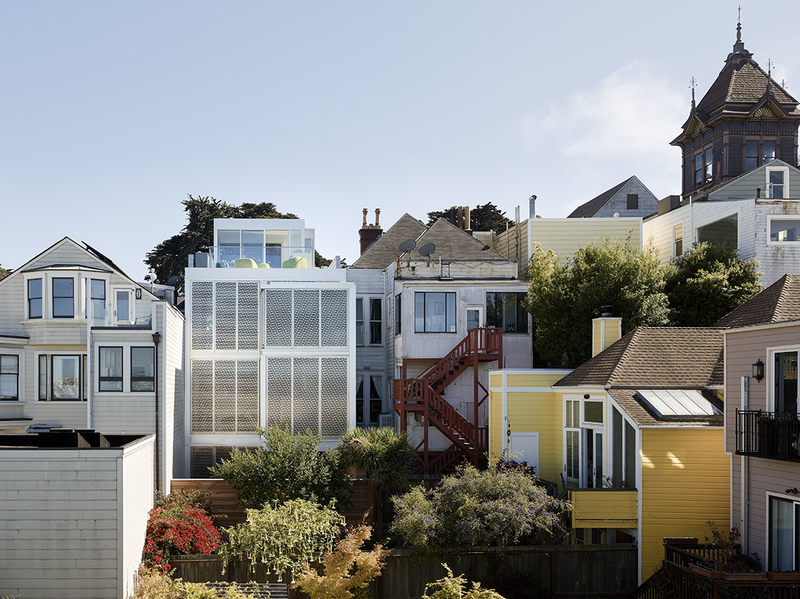 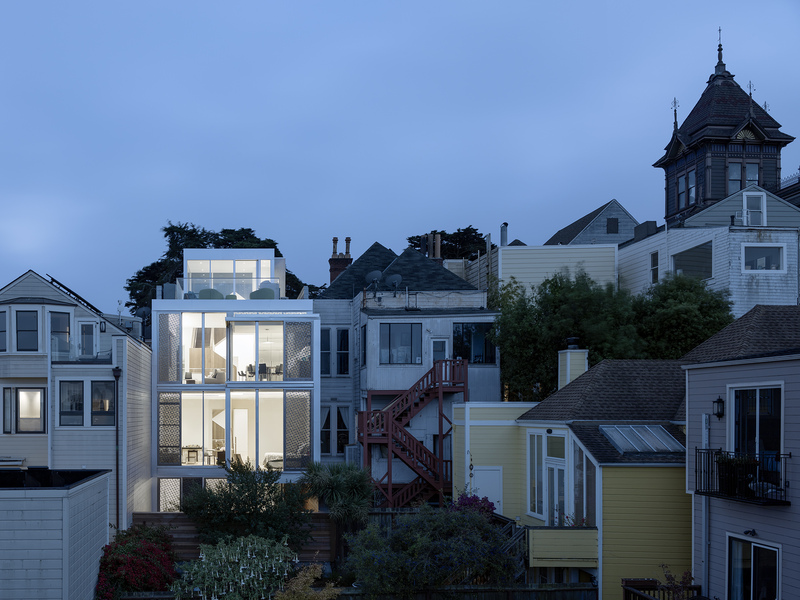 The three-story residence has been fully transformed on the interior and the rear facade. 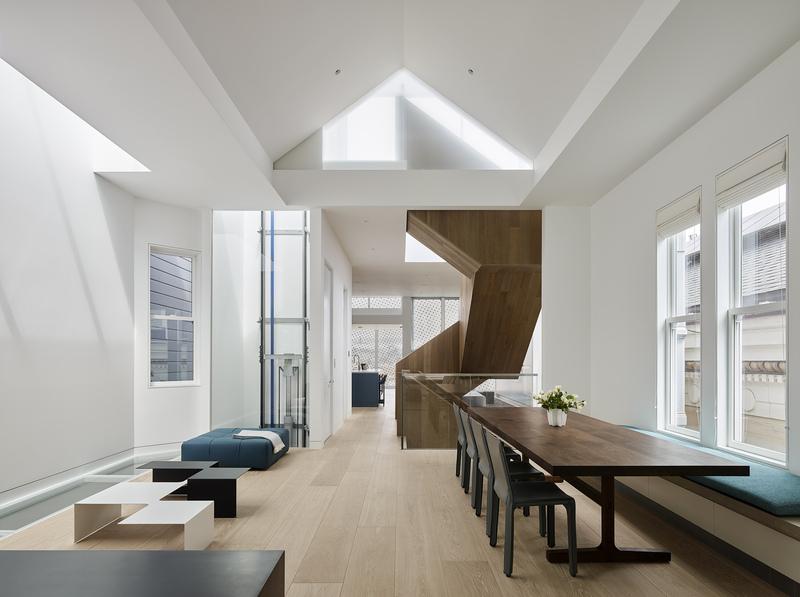 The residence itself is open and airy featuring a new elevator lift and a modern sculptural staircase that twists through the core of the structures. 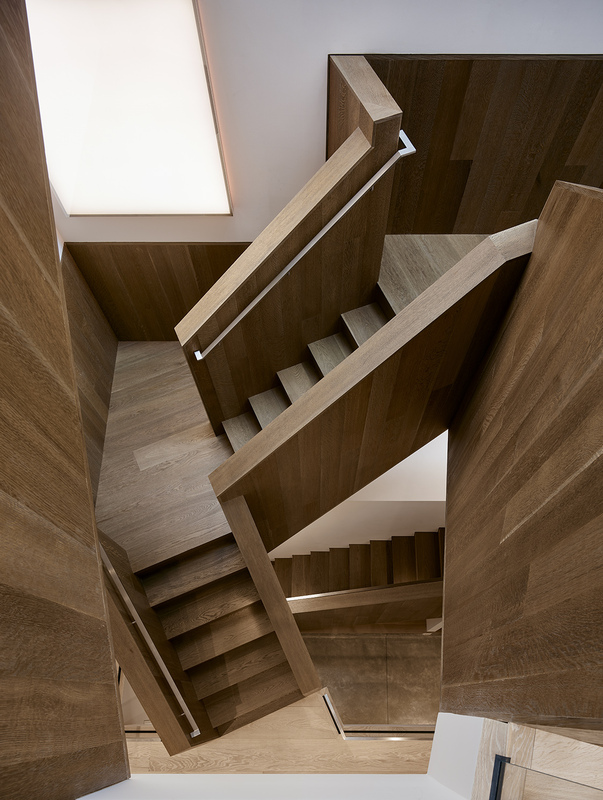 The faceted staircase and handrails are clad in wood appearing as one continuous twisting object. 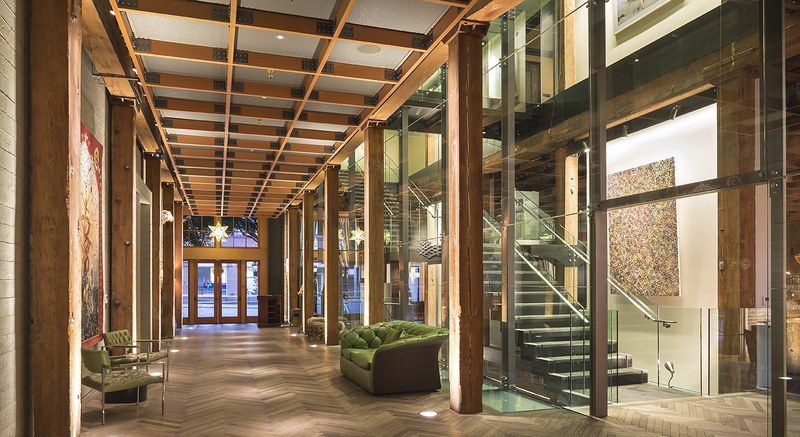 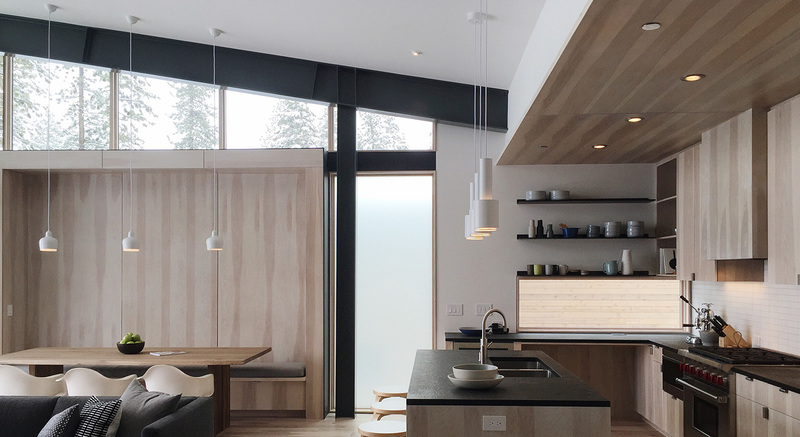 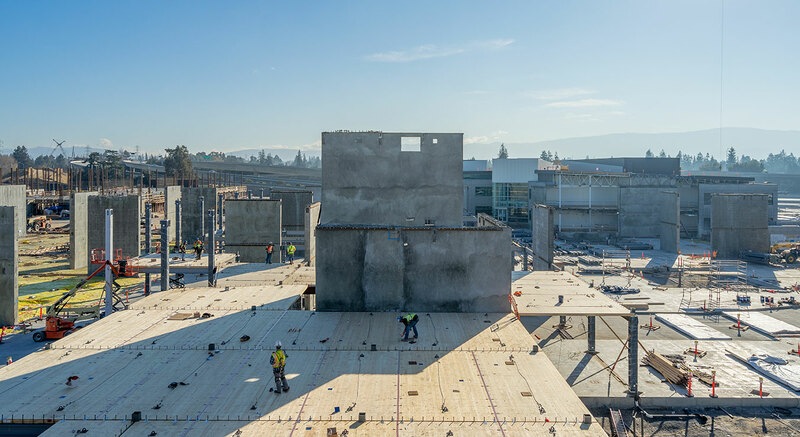 The full seismic renovation included opening the interior structure to allow for large expanses of the floor plan. 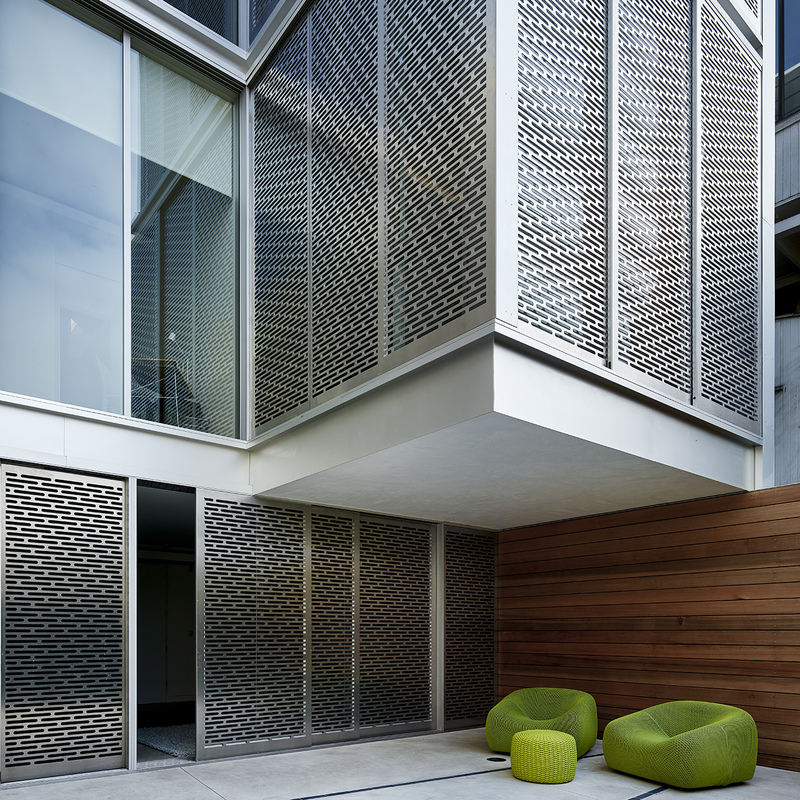 The rear facade has been updated and is now a series of sliding glass and aluminum screen panels. 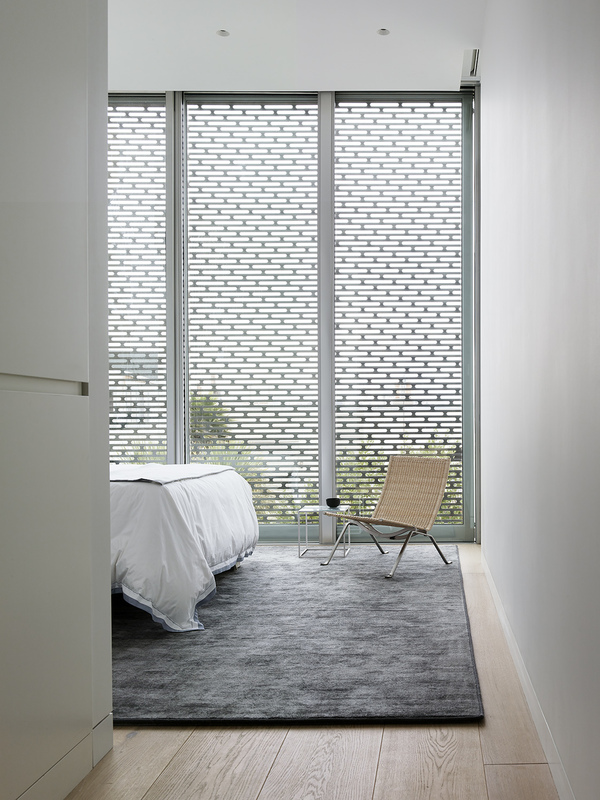 The mechanized screens provide both an option for mitigating daylight and a modern privacy screen to obscure the day-to-day living. 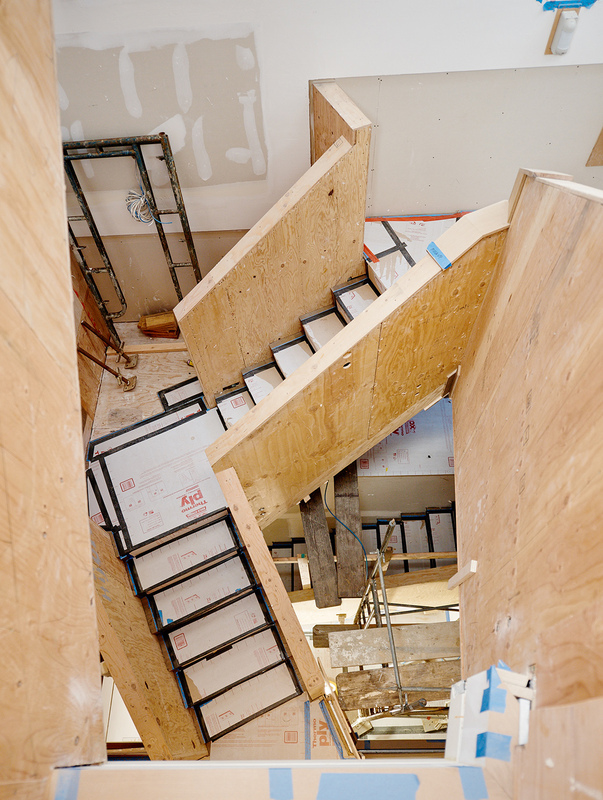 New balconies allow the family to access the outdoors on the upper level.